Not too bad a place, fairly cosy inside and warm too. My only complaint is that I found the bar staff a little rude and abrupt. Mortehoe is a lovely village and a breath of fresh air from the nearby awful Woolacombe. Fine pub, good beer. Only criticism, no WiFi! Very good: one of the best pints we've had this year (we tried Dartmoor and Proper Job). Very pleasant sitting out at the front watching the world go by. 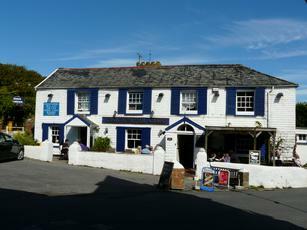 We didn't bother with the other two pubs in Mortehoe, didn't need to.